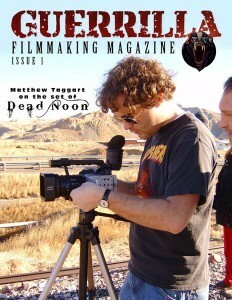 Free first issue helps low budget, hyper-indie films find their footing. The fact is, you don’t need to have a lot of money in order to make a great film. What you need is a solid story, plenty of preproduction, preferably with the power of StoryBoard Quick or StoryBoard Artist, and a little help along the way. Now there’s Guerrilla Filmmaking Magazine, a free digital interactive publication geared specifically for the low budget, hyper-indie filmmaker. Guerrilla Filmmaking Magazine (GFM) is exactly what it sounds like. Articles and tips to help indie filmmakers take the necessary steps to achieving their cinematic goals. Compiled by filmmakers from all over the world, the free and downloadable first issue address a wide range of tactical and practical issues to help you create the best possible final product. Sponsored in part by PowerProduction Software, GFM features specific projects and interviews from every aspect of low/no budget productions. So, enjoy the first copy and tell a filmmaking friend. For more information on Guerrilla Filmmaking Magazine visit their homepage and then click here to download your first issue. 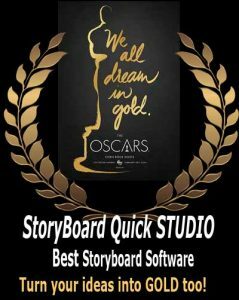 For more information on getting the best preproducton software on the market, check out the StoryBoard Quick Demo and get started on your next film today.